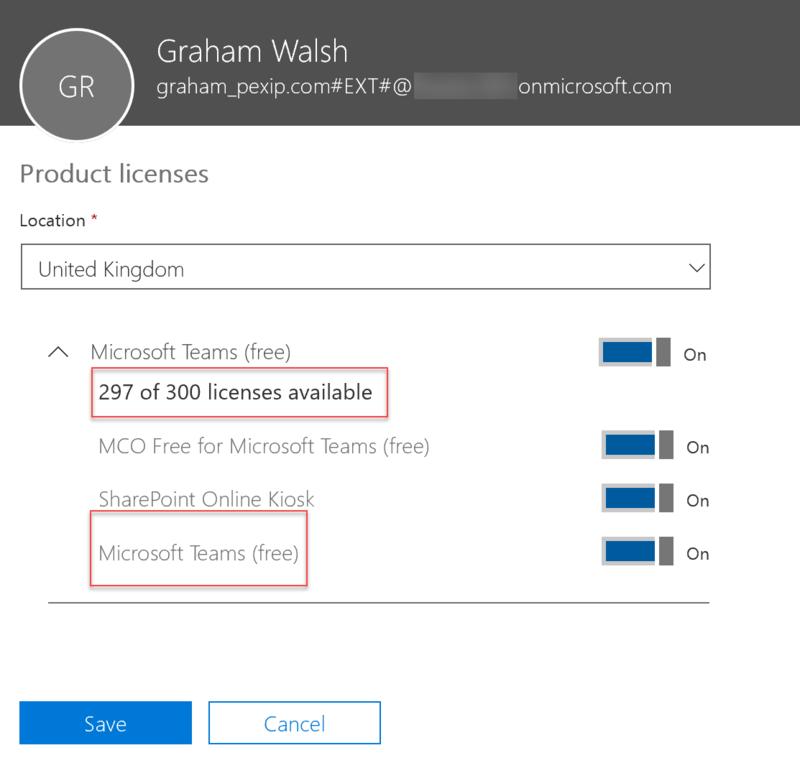 Tony Redmond did a great overview here of the new free Microsoft Teams. 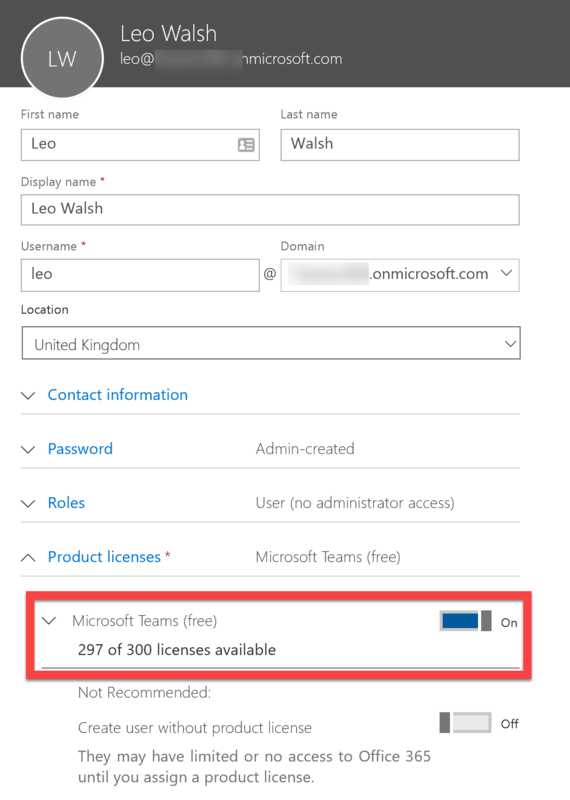 One thing that was mentioned was that there was access to the Azure AD element once your tenant is setup. So I logged into mine and discovered my admin@****.onmicrosoft.com account. 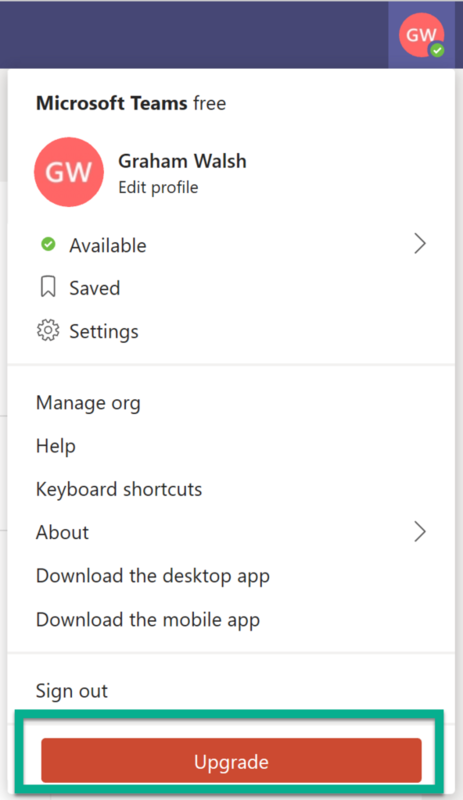 That got me thinking, could I sign into https://portal.office.com and see settings there. Well of course I could. However, I had to reset my password first before logging in. I am not sure if this is because the password was strong enough for Office 365, but it was for signing up, which was odd. Anyway, once reset I was able to log in and go to the Admin port. 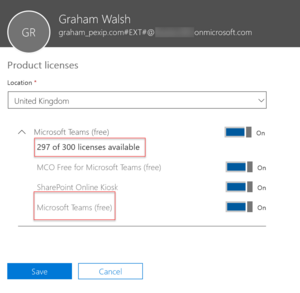 What was interesting here, I was able to see my user (admin), a new user I created and also the guest user I added via Teams, which is external to the test free tenant. 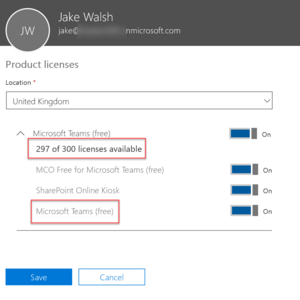 It also uses up one of the 300 licenses issued. 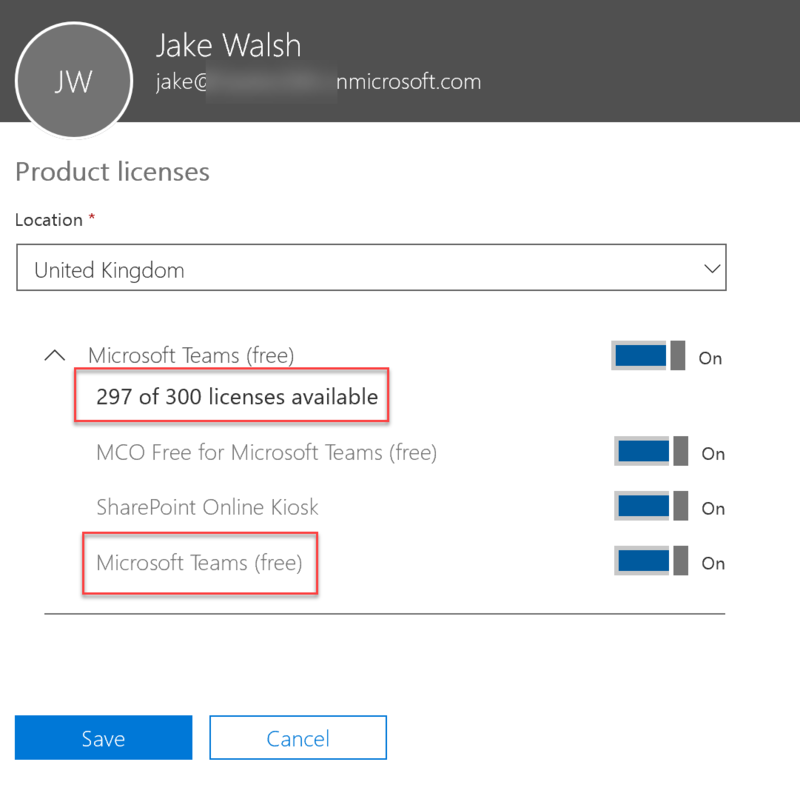 When I create a new user, I can only use Microsoft Teams (free) license. 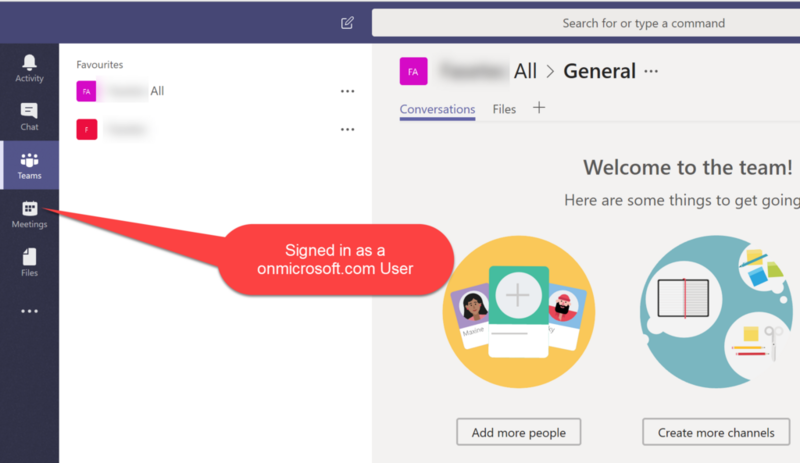 Another point, it is mentioned that you cannot use the new Teams Admin portal, however, I was able to access this and configure/update some settings. The only thing I did not see was the users and some other settings, see below. 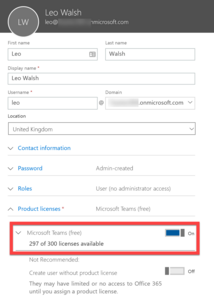 Users – there are no users here, you have to use the Office 365 Admin Portal. 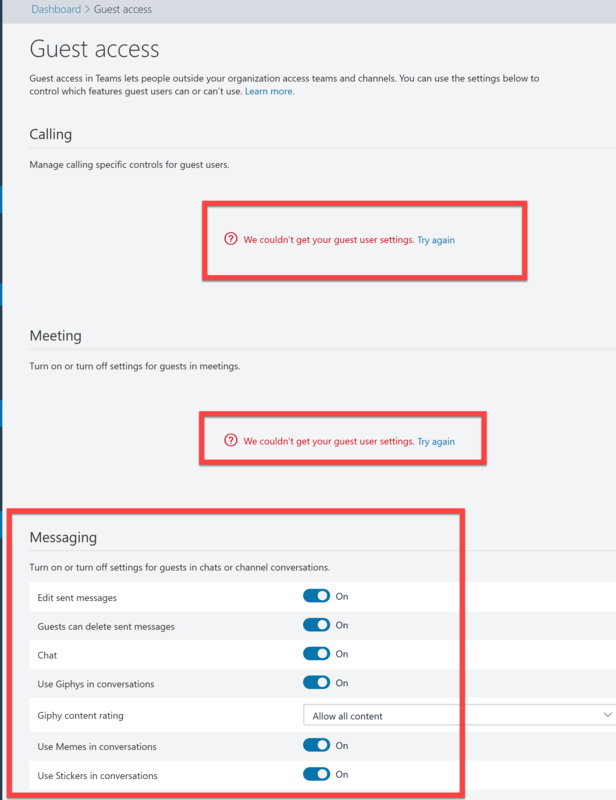 Guest Access -some settings are not available, but Messaging settings can be set. 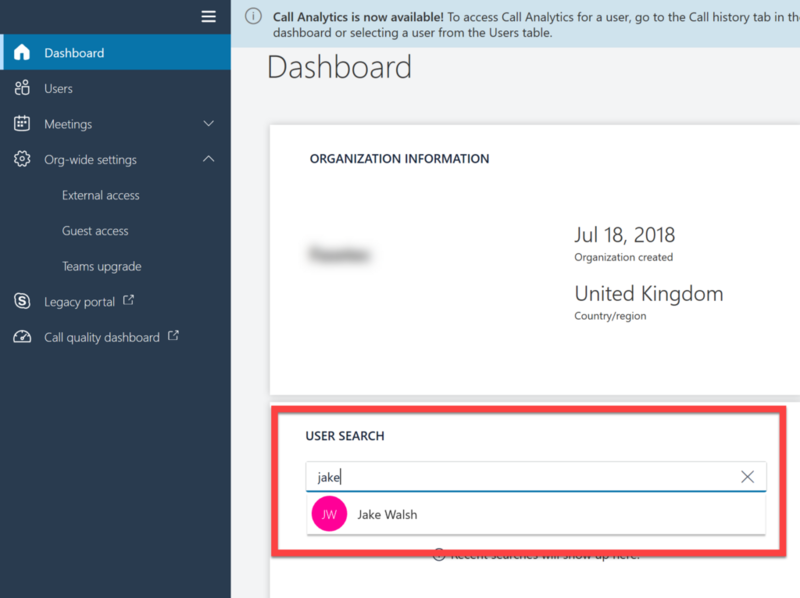 Dashboard – Let’s search for a user, it finds it from O365/Azure AD users. Next up are some quirks I’ve found as logging in as a user. Firstly there is no waffle menu in the top left and when signed in. I’m using Microsoft Edge Browser purely for testing (also not that the camera does not work with Insider build of Edge 43.17713.1000.0). 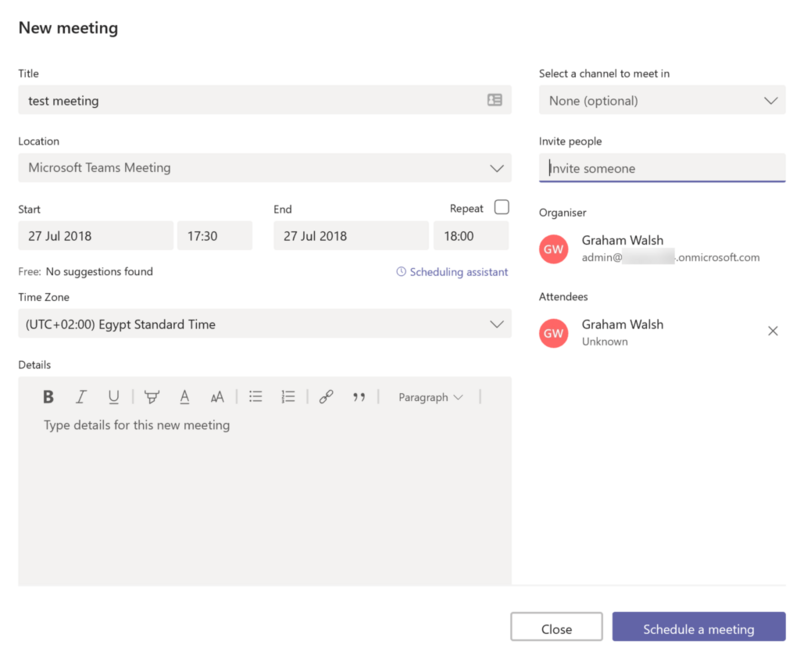 The main thing to note here is that there is no Meetings tab. You cannot schedule a meeting. 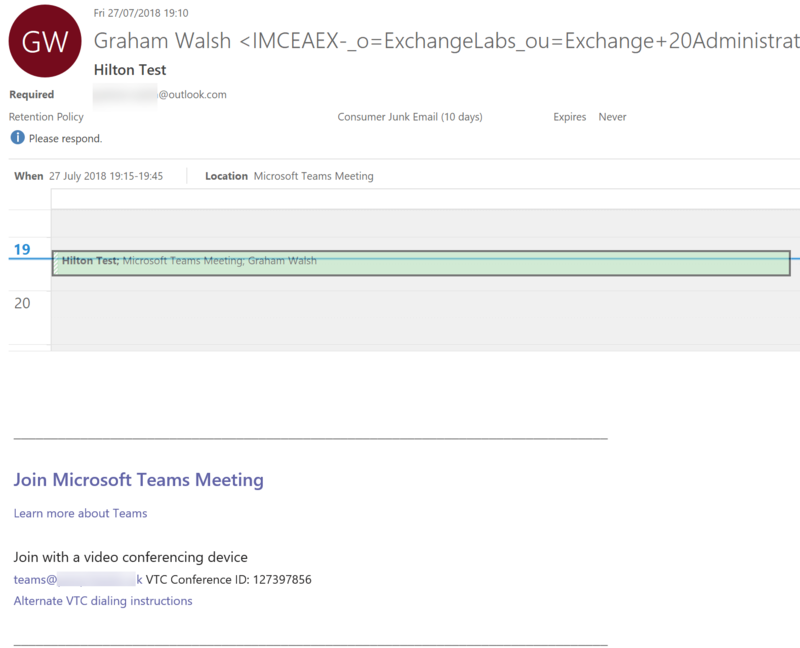 In this session, I am logged in with my own email that I setup. If I then switch to logging in as one of the accounts I’ve setup using the name@***.onmicrosoft.com account, look what I see. Also if I log into the tenant as a guest user, I don’t see any meetings (which is probably correct). 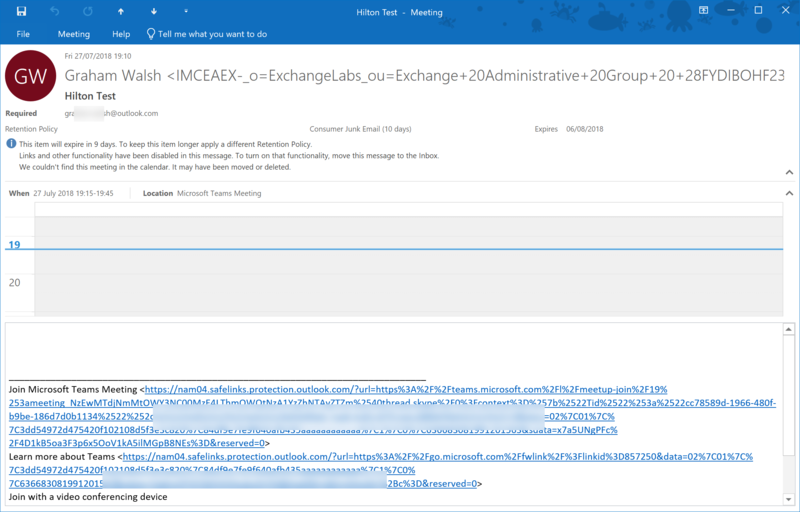 I think the reason it got picked up as spam is because it came on behalf of a .onmicrosoft.com email address which isn’t meant to send email communications. Try add a registered domain with spf set up, should then behave. 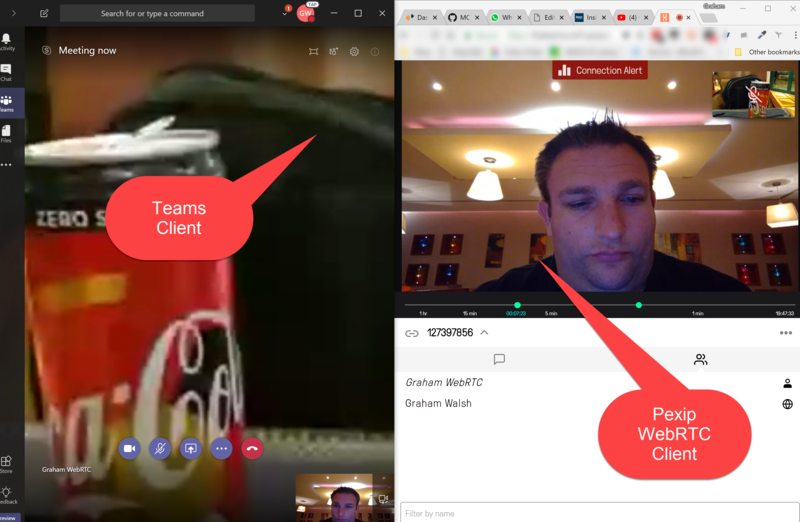 So with all that aside, here is me joining a Microsoft Teams call on the left hand side, you need to excuse my awful wet bit of string that the hotel call WiFi, I think I’m connected via a US Robotics 56k modem. 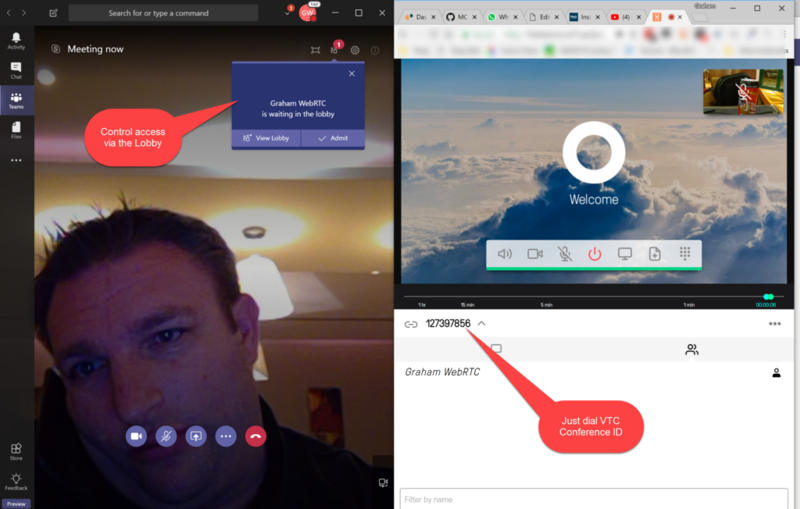 On the right hand side, I am connected to the Pexip WebRTC (using Chrome) conference node hosted in Azure and I just dial the VTC conference ID and because I am an external guest not authenticated to Microsoft Azure AD/Teams, I am placed in the Lobby. Once I admit to the lobby, I am then part of the meeting.